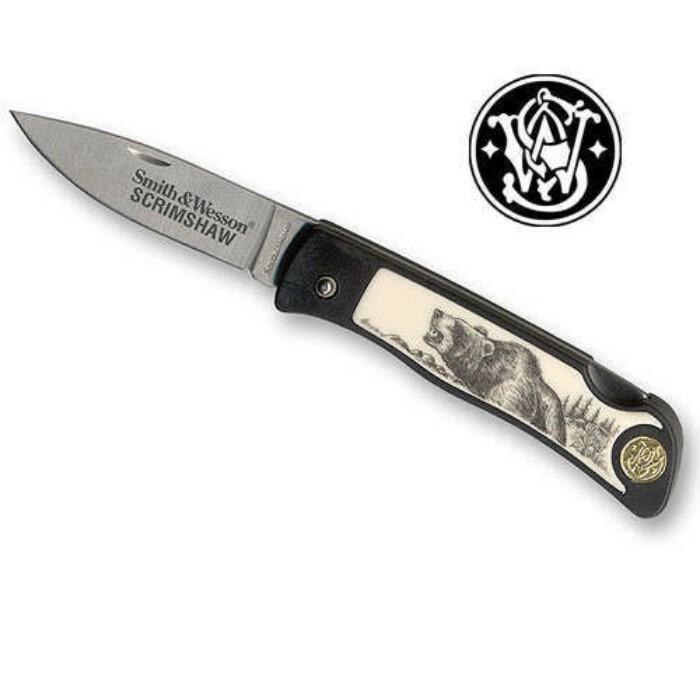 Smith & Wesson Growling Bear Scrimshaw Folding Knife | BUDK.com - Knives & Swords At The Lowest Prices! Custom Zytel handle adorned with scrimshaw wildlife artwork. Each 2 1/2" blade is constructed from solid 440C stainless steel and features authentic Smith & Wesson laser etch. 3 1/2" closed.